Even setting aside its doctrinal richness and its vital importance as a second witness for the Savior Jesus Christ, the Book of Mormon is a strikingly complex document — far more so, probably, than most of its readers realize. It features hundreds of individual characters, many of them bearing quite uncommon names, who belong to a multitude of groups, subgroups and small factions. It describes three migrations from the Eastern Hemisphere to the Western Hemisphere. It employs at least three distinct dating systems. Yet, amazingly — and particularly so for a book that was dictated within a remarkably short time, at high speed (roughly nine to 11 pages of the English printed edition per day) — it’s internally consistent. It doesn’t contradict itself. It both presupposes and reflects a complicated geographical backdrop to its stories, involving scores of place names and topographical indicators. Yet places maintain their proper relationships to each other even when they’re mentioned only a few times over hundreds of pages. Furthermore, the book itself, as a work of literature, is structurally complex. For instance, many important sections of the book are prefaced by statements that give readers a forecast of what’s coming — and are then followed by summaries of what has just been read. It seems unlikely that a semiliterate young farmer could, while dictating at such speed, recall what he had promised in his prefaces and then remember to finish off such sections with appropriate summaries. And this is to say nothing of the extended chiasms throughout the book. It’s to leave unmentioned the way in which the book’s purported ancient authors sometimes quote from each other (e.g. in 1 Nephi 1:8 and Alma 36:22, passages dictated orally many days apart). Nor does it take account of other subtle literary features that modern scholars have only recently begun to recognize and to study in the Book of Mormon. Some critics, understandably challenged by the book’s consistency within complexity, have sought to dismiss it, pointing out that, for example, J.R.R. Tolkien’s Middle Earth, too, is both complicated and consistent. To those who don’t find this impressive, I say: Dictate an original manuscript of approximately a quarter of a million words between now and New Year’s Day, and then get back to me. (I’m being generous. 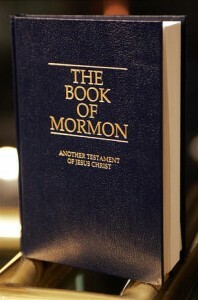 According to one count, the English Book of Mormon actually contains 268,163 words.) And anybody who attempts this feat, don’t forget, will almost certainly be far better educated than Joseph Smith was. A good brief statement on this topic, from which I’ve drawn for this column, is Melvin J. Thorne’s 1997 article "Complexity, Consistency, Ignorance, and Probabilities," which is available online. Daniel C. Peterson is a professor of Islamic studies and Arabic at BYU, where he also serves as editor in chief of the Middle Eastern Texts Initiative and as director of advancement for the Neal A. Maxwell Institute for Religious Scholarship. He is the founder of MormonScholarsTestify.org.